Bubblepalooza party! Who doesn't love bubbles? Have your party be the talk of the town with this great add-on! Glow Wars includes our basic "Go Glow!" 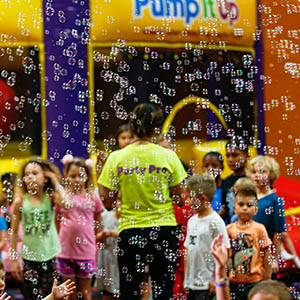 experience PLUS the addition of super fun, Glow Ball Blasters. 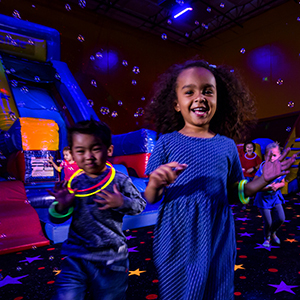 Each child gets to use a glow-in-the-dark Ball Blaster and take aim with soft, ping-pong like balls that are perfect for friendly games of tag on the giant inflatables. Glow Wars is a high-energy Add-On for any party. 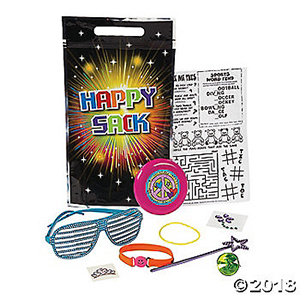 It's available in the laser-lit, play arena and includes a take-home, glow necklace for each child. Recommended for ages 9 & up. 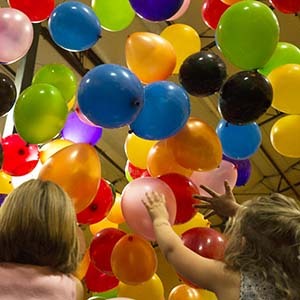 Book your kids birthday party today and add the Glow feature now! We will take MANY pics of your special moments! Kids love to make a statement with fun Glitter Tattoos! Select from cool stencil images like beautiful butterflies and daring dinosaurs. Our kid-friendly application is safe, quick and lasts for days. Must reserve Glitter Tattoo Artist at least 5 days before party to ensure staff availability. A party isn't a party without favors! 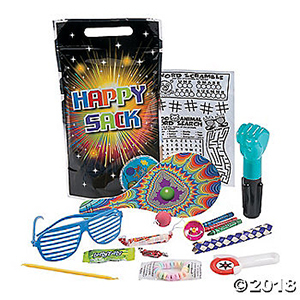 This bag includes a variety of fun toys and novelties to enjoy! Royalty Reigns! The Princess Bag is perfect for all princesses! 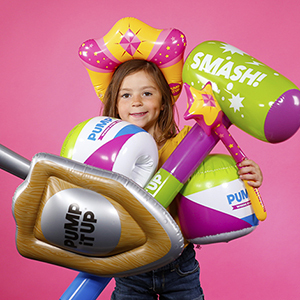 Become your birthday kid's and guests' hero! 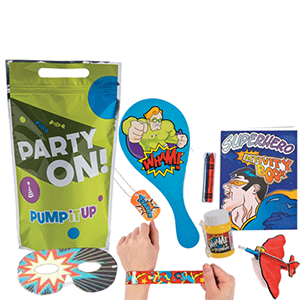 Pick the super hero goodie bag, filled with super hero themed prizes! It's a goodie bag with a twist! 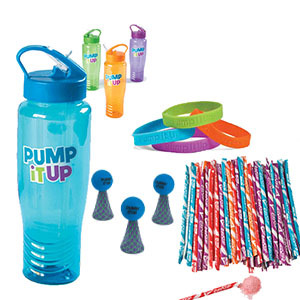 Kids get to take home a water bottle filled with fun treats inside! Add more character to your party, you can now personalize your party even more with our themed paper goods! Call in for more details! Jump around in style! Grab a pair of our whacky Pump It Up socks to match the fun party atmosphere.